Japanese media, and indeed media around the world, become more effective in selling their products by alarming their audience, there is a tendency to believe that things are falling apart and that for instance, there is increased violence. In Japan the level of homicide has dropped by about 70 percent in the time that I have been here. 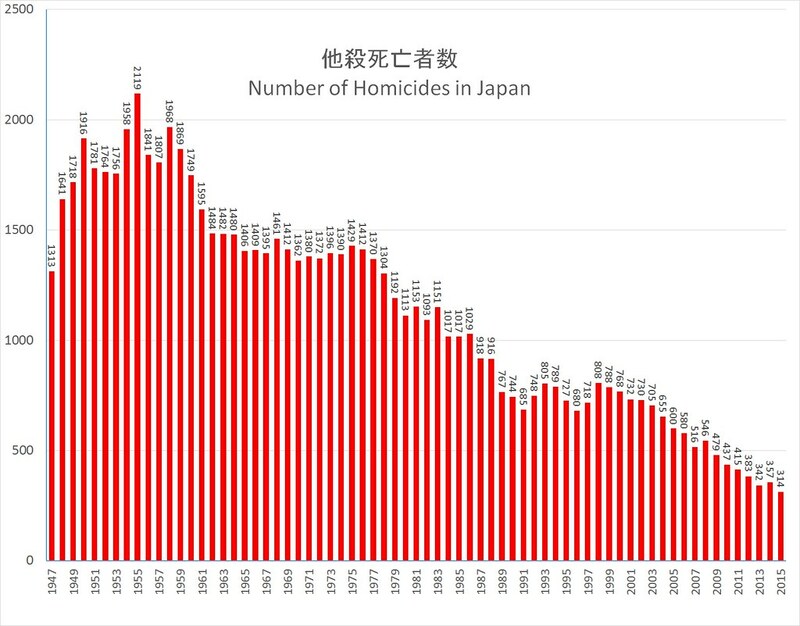 Looking at Intentional Homicide Rates, Japan is now at a level bettered only by Andorra, Monaco, San Marino and Iceland. The next non small Island or City state of Austria has a muder rate almost twice that of Japan. In the UK the rate is about 3 times that of Japan and in the US thirteen times.